Ask editor Calvin Jim about his involvement in the Shanghai Steam anthology, he’ll tell you that his interest goes way back to his roots. The part-Chinese author of Asian Fantasy had his path as a writer changed by the film Crouching Tiger, Hidden Dragon. When he sought out the book series he discovered that there was no English translation, but his search turned up a literature genre that he hadn’t heard of before… Wuxia. Wuxia can be translated into English as ‘martial hero,’ and stories from the genre may typically be an ‘everyman/woman’ whose aim is to right wrongs or stop oppression. If you’re looking for other comparisons perhaps the bushido tradition in Japanese culture or American gunslingers may put you in the right frame of mind. 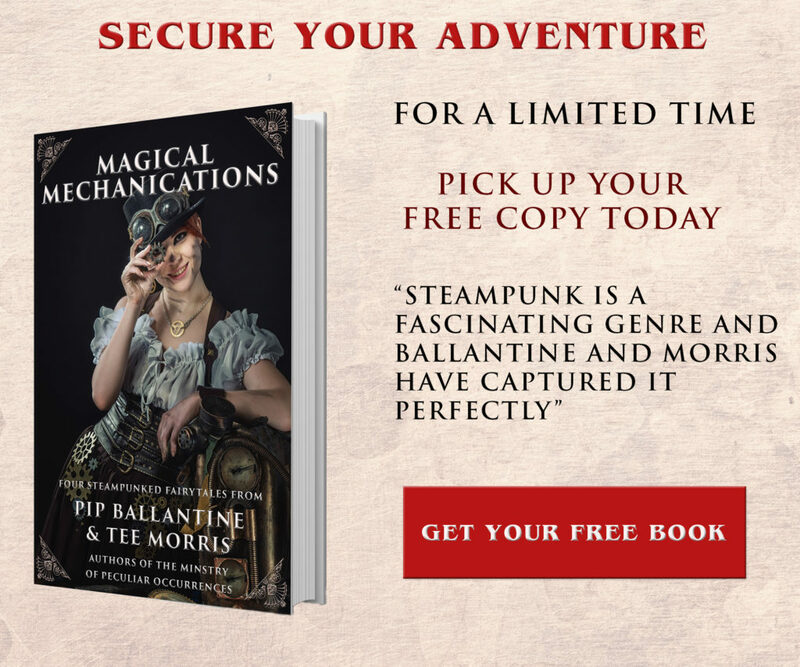 Mixing the Wuxia genre with that of Steampunk opened new doors for a number of writers who saw the submission call and crafted a story of their own for the anthology. Inspiration for stories came from a broad sampling of Chinese historical influence and futuristic wondering. Laurel Anne Hill’s interest in the Chinese workers who helped build the American Transcontinental Railway sparked her story idea and Ray Dean, who started out writing a story set in the American West ended up writing a story about the Opium War between China and England. Editor Calvin Jim also mentions that he found some eye-opening stories that became part of the anthology including a horror story, stories set on other planets, and even light comedies. While fiction writers can pretty much create the stage and the characters, the Shanghai Steam Anthology melds Chinese culture and Steampunk. Some say ‘write what you know’ and others still will tell you ‘it’s fiction.’ The authors of the anthology were a mix of the two in varying degrees. Tim Reynolds’ experiences with Chinese culture stemmed mostly from the same exposure of most big city North Americans: Food, visits to Chinatown, Philosophy, Movies and perhaps even some martial arts training. Others like Derwin Mak, Emily Mah, and Tim Ford have Chinese blood in their veins. Julia A Rosenthal’s experience includes two visits to Mainland China that left her with a hunger to know more about Chinese history and culture. For Ray Dean growing up in Hawaii, a hop-skip-and-jump from Chinatown and all of the festivals, enriched her childhood with legends, culture and lots of good food. Author Crystal Koo is surrounded by Chinese culture as she lives in Hong Kong and grew up in a Chinese family. Reading through the submissions for the anthology, Editor Ace Jordyn was expecting to see a wide variety of stories that touch on life, culture, politics, philosophy, science and more. She was also looking for an emotional connection or response to the stories. She also discovered heroes from all walks of life who found themselves in the middle of a number of unique situations: working on the railroad in North America, revolutions in rural China, alternative history scenarios and life on other worlds. Ace goes on to say that all of the stories speak to the human condition in unique and wonderful ways. In merging the two genres the authors had different ways of approaching the challenge. Derwin Mak based his story on the Self-Strengthening Movement of the Chinese military and the ideological conflicts of the time. Crystal Koo found the combination natural, noting that advances in technology aren’t limited to certain cultures. Julia A Rosenthal started with developing her hero and a cause to get the story’s plot moving. Rather than building an entire world around his story, K H Vaughan took specific items, locations, and individuals and gave them a ‘make-over.’ Laurel Anne Hill brought together an explosive combination of qi and spiritual assistance in her story. Emily Mah’s post apocalyptic story deals with a culture fragmented by calamity and what’s left is a culture of mixed ethnicities that inhabits the ruins left behind. Going the more traditional route, Tim Reynolds sets his story in a monastery where old and new clash together in the form of two brothers. Ray Dean enjoyed the ability to include a moment in her story where the sudden rush of new technology gives way to the wear and tear of use, only to find new life thanks to a creative businessman. Tim Ford kept it simple. He uses Steampunk tech in a single way, but it is the key to the plotline. To enjoy the stories in the Shanghai Steam Anthology, you don’t have to be an expert in Chinese culture, nor do you have to be well versed in either genre. A willingness to embrace new worlds and see history through many different lenses will serve the readers as they have our authors. 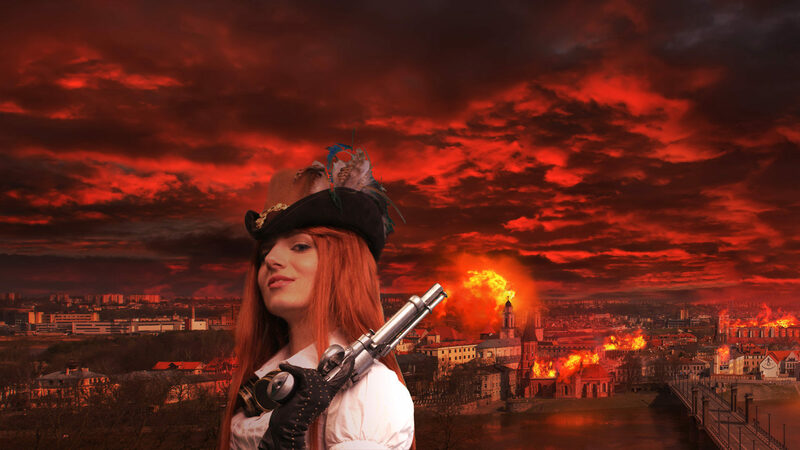 We hope that this anthology will open new frontiers for both Wuxia and Steampunk fans. 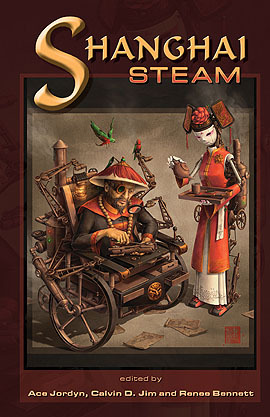 Find out more about Shanghai Steam on Facebook and the publisher’s website. Trinity Church liked this on Facebook. The Ministry of Peculiar Occurrences liked this on Facebook. Mary Culbertson liked this on Facebook. Raydeen Graffam liked this on Facebook.